The voting is now done and two of St. Louis best local brewers certainly represented our area proudly in the recent polling conducted by USA Today 10Best. Craft breweries are opening in record numbers in the United States – a whopping 861 of them in 2016 alone. USA TODAY 10Best wanted to find the best new breweries and the best brewpubs in the country. In the best new breweries category, they looked at ones founded in the past three years and created a pool of 20 nominees, including Florissants own Narrow Gauge. In the best brewpub category, 10 nominees were selected based on their selection of in-house beers, often alongside guest taps and a menu of tasty food options. 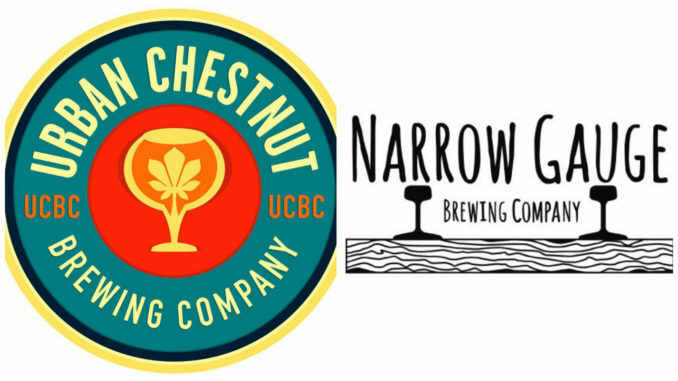 Urban Chestnut was our local entry. The voting is now complete and here is where our local favorites finished. Bond Brothers Beer Company – Cary, N.C. Brew Gentlemen – Braddock, Penn. Narrow Gauge Brewing Company – Florissant, Mo. The Answer Brewpub – Richmond, Va.
Fieldwork Brewing Company – Berkeley, Calif. The Veil Brewing Co. – Richmond, Va.
Great Notion Brewing – Portland, Ore.
Titletown Brewing Co. – Green Bay, Wis.
Ecliptic Brewing – Portland, Ore. Founders Brewing Co. – Grand Rapids, Mich.
12Degree Brewing – Louisville, Colo.